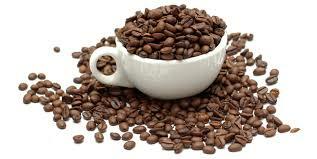 Yes, it is true – I drink a lot of coffee. And so, I also buy a lot of coffee. My daughter always complains I drink too much, I buy too much! (really?) But it would appear she is right. As I cleaned out my cupboard for an (late) annual spring clean, I discovered I had ten x one kilo bags of coffee. Oops! She and I laughed about this. And then compared the bags. They were all from the one company (Lavazza is my favourite daily ritual), yet as they were bought over time, I noted the design and shape of the packaging had changed. There were 3 different packages, but still always with the same great coffee inside, that would make my coffee just the way I liked it. But it reminded of something I had been trying to explain to some colleagues – how do you do differentiation? Before I begin with that, though -let’s talk quickly about what differentiation is NOT! Despite what might be suggested to the contrary, differentiation is NOT dumbing down the content for some of your students. Differentiation is also NOT a set of teaching strategies, like a rich menu, that you select from to teach your students, depending on their need or ability. And differentiation is also NOT developing an individual learning plan for each and every student in your classroom! I like Carol Tomlinson’s way of approaching differentiation. “Differentiation IS a way of thinking about teaching and learning; a sequence of common sense decisions made by teachers with a student-first orientation”, Carol Tomlinson (2008). We need to think of differentiation as a broad term, referring to the need to tailor the teaching environments and our practices to create appropriately different learning experiences for different students. So, what does that look like? Well let’s begin with the 3 basics, CONTENT, PROCESS and PRODUCT– drawing on our coffee example! The CONTENT is the same delicious beans for all the different packages! Okay, I do not want to take the analogy too far. But in the same way that I get to choose how much of that great coffee to put in my machine, students also get a choice about the content, the curriculum to be covered. Or you might make choices for them, depending on their readiness, interest and learning styles. And this can be individual, or whole class (I have written an example of this from my own practice here). But the key here, is not to dumb it down! Differentiation is about teaching up! Always encouraging your students to improve, to do better, to go to the next level. 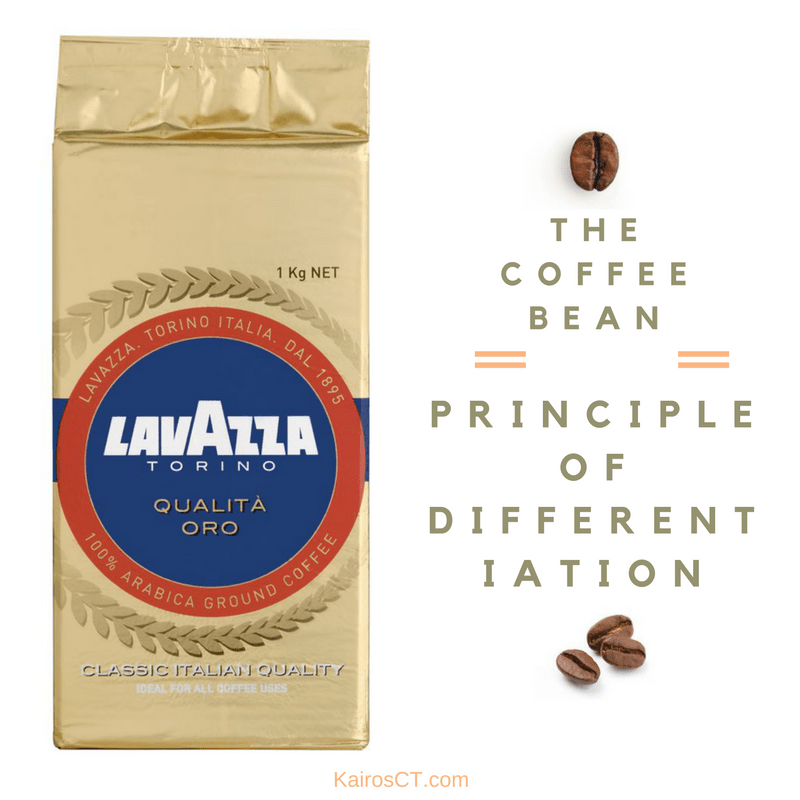 That same coffee came in different packages, and likewise we can change the package that we present to students, the PROCESS or teaching strategies for teaching content. We need to design our lessons, series of lessons, and curricula, around the patterns of student need. This may include the use of whole-class, small group or individual tasks, based on the content and the student needs. This involves a student-focused way of thinking about teaching and learning, that makes a place for student choice. Choice about how they work, which may not look the same for each student. Over time, they should be challenged to try many ways of learning, so they can grow – this is at the heart of quality teaching! I drink my coffee black, strong with no sugar, and lots of it. So, I use a lot of beans. But my daughter drinks hers white with one, and not too often. The end PRODUCT of learning can also be differentiated for your students. Again, this is very dependent on the student’s readiness, interest and learning style. The key here is that students need to meet the learning outcomes of the task. 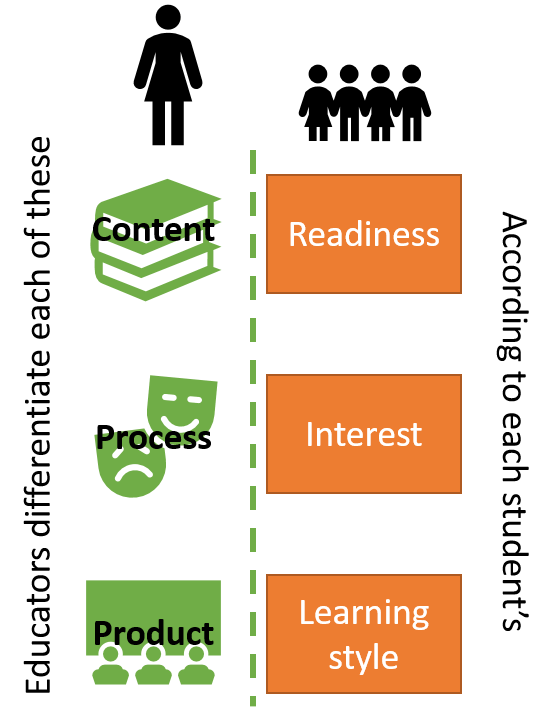 So, unless the product is a learning outcome – and this of course does happen, then how they demonstrate their learning can be different for each student. We need to be careful in considering the product that we address both the learning and the affective needs that all our students have. After all, you might not quite like your coffee like me! When thinking about differentiation, we really need to make sure we value and plan for the inclusion of all our students, not just one or two individuals, in fully heterogeneous settings. This means not thinking about ability grouping or tracking. Instead, think about proactively planning varied approaches to the CONTENT students need to learn, the PROCESS they will use to learn it, and/or the PRODUCT they will create to show what they have learned, according to each of their individual readiness, interests and learning styles. This will ensure the likelihood that each student will learn as much as he or she can, as efficiently and as effectively as possible.